In terms of IPO fund raising, however, Hong Kong ranked third (after the New York Stock Exchange (NYSE) and the London Stock Exchange Group) in 2014, raising USD 29.3 billionii, up 33% on the USD 21.8 billion raised in 2013.iii The Hong Kong Exchange ranked third by number of IPOs, with 115 new listings (excluding transfers of listings from the Growth Enterprise Board to the Main Board). Hong Kong has ranked in the world’s top five IPO exchanges and as the top Asian exchange for IPOs for the past 13 years. IPO activity on Mainland China’s two exchanges, the Shanghai and Shenzhen exchanges remains very much under the control of China’s Securities and Regulatory Commission (CSRC) which controls both the flow of listings and IPO pricing. The Shanghai and Shenzhen exchanges were closed for IPOs from November 2012 to January 2014. Following the reopening of the exchanges and the introduction of more stringent IPO regulation, there were 39 IPOs on the Shanghai Stock Exchange in 2014 raising US$ 5.1 bln while 76 IPOs on the Shenzhen Stock Exchange raised US$ 5.8 billion. This was in spite of the CSRC closing both exchanges again between February and June 2014 to prevent the market overheating. IPOs on the Mainland exchanges provided good returns for investors with the majority of listings in the fourth quarter rising the maximum 44% allowed on the first day of trading. After three years among the world’s worst performing stock markets, China’s benchmark Shanghai Composite index was the world’s best performing major stock market in 2014. It jumped nearly 53% in 2014, significantly outperforming all major global markets, and broke through 3,000 points in early December for the first time since 2011. The rally in equities occurred mainly in the final quarter of 2014 and was due to a combination of factors including China’s central bank unexpectedly cutting interest rates in November for the first time in two years to boost the flagging economy, government-led structural reforms and the implementation of the Shanghai-Hong Kong Stock Connect programme which opened Shanghai’s A-share market to foreign investors for the first time. The rally in Mainland-listed A shares was fuelled by China’s retail investors who account for some 80% of trading. 2014 also saw record numbers of securities trading accounts being opened partially as a result of encouragement by the Chinese authorities to invest in stocks. In one week alone in November 2014, 370,000 new trading accounts were opened.iv China’s IPO market is expected to be robust in 2015 with Price Waterhouse Coopers predicting that 200 new listings on the Mainland exchanges will raise roughly RMB 130 billion in 2015. China IPO reform is one of the CSRC’s key priorities and it plans to phase out the existing application-and-approval system and replace it with a registration mechanism. This would require listing applicants to disclose information about their earnings and operations and it would be left to the market to determine the pricing of IPO shares. When implemented, the proposed market-based IPO regime is expected to give a further boost to the A share market. The Shanghai and Shenzhen exchanges do not however allow the listing of foreign companies. In addition, there is still a huge back-log of Chinese companies waiting to list. For that reason, the Hong Kong Stock Exchange continues to attract listings of Mainland Chinese companies who want to accelerate their listings. A Hong Kong listing also provides Chinese companies with access to international capital. The Hong Kong Stock Exchange ended 2014 on a high note with IPO pricing improving in the fourth quarter. Improved investor sentiment meant that 44% of 4th quarter IPOs priced at the upper end of their indicative range compared to only 35% in the third quarter. As to the 2015 outlook for Hong Kong IPOs, Price Waterhouse Coopers predicts that Hong Kong will remain in the world’s top 3 exchanges for IPOs in 2015 and expects 120 new listings to raise around HK$ 200 billion (US$25.8 billion). The bulk of new listings are expected to be of small- and medium-sized companies mainly in the retail, consumer goods and financial services sectors. Another attractive feature of the Hong Kong exchange is that deep liquidity enables Hong Kong listed companies to raise considerable amounts in post-IPO fundraisings. In 2014, follow-on offerings raised HK$ 708 billion (US$91 billion). As the gateway between Mainland China and the rest of the world, Hong Kong has long been the preferred international listing venue for mainland Chinese companies looking to raise funds in the international capital markets and there are currently 822 Chinese companies listed on the Hong Kong Stock Exchange which account for 56% of the total market capitalization. In 2014, four out of the top five companies by IPO funds raised in Hong Kong were Mainland Chinese companies. The Hong Kong Stock Exchange is a leading international stock exchange which allows full access to foreign investors wishing to trade on its markets and offers a listing venue to foreign companies which are able to meet its requirements. The benefits of listing on the Hong Kong Stock Exchange for overseas companies include access to investors in Mainland China. The importance of Mainland Chinese investors is expected to grow and the Exchange is now positioning itself as the vehicle through which Mainland Chinese investors can invest internationally. A first step in making Hong Kong the gateway for outbound Chinese capital was the launch of the Shanghai-Hong Kong Stock Connect pilot program on 17th November 2014 which allows Hong Kong and international investors to buy Shanghai-listed stocks and Mainland professional investors to buy Hong Kong-listed stocks, respectively. A “professional investor” is someone with RMB 500,000 in cash and/or securities. The Northbound trading link (from HK to PRC) allows trading in Shanghai-listed companies on the SSE 180 Index and SSE 380, while the southbound link (from PRC to HK) permits trading in the constituent stocks of the Hong Kong Exchange’s Hang Seng Composite LargeCap Index and Hang Seng Composite MidCap Index. Trading in companies with dual listings on the Shanghai and Hong Kong stock exchanges is also allowed through the link. Only secondary market trading is allowed under the program so investors cannot yet subscribe in IPOs on either market. Northbound trading and southbound trading are each subject to separate aggregate and daily quotas. Hong Kong and international investors can now trade up to 13 billion yuan (HK$16.4 billion) a day in Shanghai listed A shares, while mainland investors can trade up to 10.5 billion yuan a day in Hong Kong stocks. Contrary to expectations that HKEx’s lower valuations of companies dual listed in Shanghai and Hong Kong would see Chinese investors rush to purchase Hong Kong listed Mainland companies (i.e. H shares), net northbound purchases of Shanghai-listed shares have significantly exceeded net southbound purchases. International investors have bought a net RMB 68 billion yuan of Shanghai shares since the link’s 17 November debut, out of a limit of RMB 300 billion. Mainland investors purchased a net RMB 13.1 billion from an aggregate quota of 250 billion yuan. It is however expected that northbound trade will increase as more overseas funds receive approval from their regulators to invest in A shares and that southbound trade will increase steadily. The programme represents a major step in the opening of China’s capital markets to foreign investors and in furthering the internationalisation of the RMB. It also increases the attractiveness of the Hong Kong Stock Exchange for companies looking to access Chinese capital. The Exchange has stated that the programme is scalable in size, scope and market in the future and that cross-border capital raising may eventually be permitted under the programme, subject to SFC and CSRC regulatory approvals. There have been rumours recently that the current requirement that Mainland investors must qualify as “professional investors” (requiring holding RMB500,000 in cash and securities) to participate in the scheme is set to be relaxed. Currently Mainland Chinese investors are restricted to trading Hang Seng Index constituent stocks under the Southbound link. If this restriction is lifted in future, it would prove very attractive to overseas companies looking to list offshore. Hong Kong and international investors will soon be allowed to conduct covered short-selling of A shares under Stock Connect’s Northbound trading link according to the Hong Kong Stock Exchange’s update on the programme of 6 January 2015. HKEx carried out a system test for the short-selling service over the weekend of 10 and 11 January 2015, and aims to allow short selling by the end of the first quarter of 2015. In March 2015, HKEx plans to implement a new system which will mean that institutional investors who hold A shares through custodians will no longer need to transfer their A shares to brokers the day before they want to sell in order to comply with China’s pre-trade checking requirement. Many overseas fund managers are currently prevented from trading A shares through the Northbound link as their rules prevent compliance with this requirement. The requirement is contrary to standard international practice which allows settlement within two days after sale which is followed in Hong Kong and other leading markets. A stock connect between Shenzhen and Hong Kong may also be implemented in the near future, according to comments made by Premier Li Keqiang on 4 January 2015. According to the Shenzhen Stock Exchange, Shenzhen and Hong Kong will seek regulatory approvals once their plans are “mature”. Compared to the Shanghai-Hong Kong stock connect, the trading link with the Shenzhen exchange would allow foreign investors access to some of China’s most dynamic private companies in the technology and health-care industries. According to a speech given by Alexa Lam, deputy chief executive officer of Hong Kong’s Securities and Futures Commission (SFC), in October 2014, a scheme providing for the mutual recognition of funds authorised in Hong Kong and the Mainland is in its final stages. When implemented, the MRF scheme will allow Hong Kong-domiciled funds authorised by the SFC to be sold in the Mainland, while Mainland funds authorised by the China Securities Regulatory Commission (CSRC) will be allowed to be sold in Hong Kong. This will be the first scheme providing for mutual recognition of funds between the Mainland and a foreign market and is consistent with the goals of developing Hong Kong as an offshore RMB centre and an international asset management centre set out in China’s 12th Five-Year Plan. 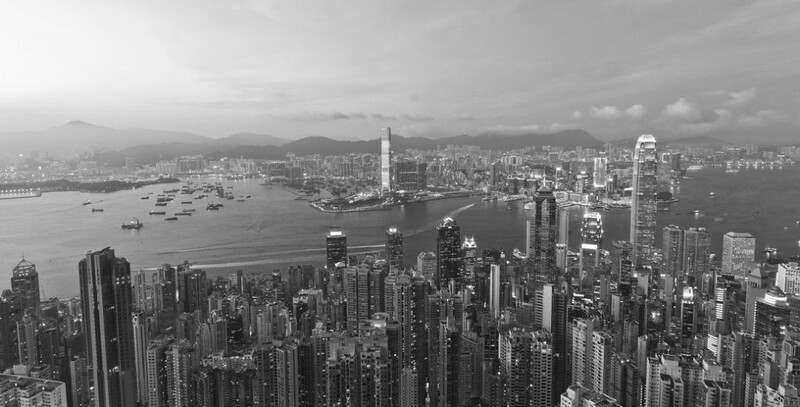 A current challenge for the Hong Kong market is whether listings should continue to be restricted to companies with a “one share one vote” (OSOV) structure, a rule in place since 1989. As mentioned earlier, the top IPO exchange in 2014 was NYSE, for the third year in a row. NYSE raised US$66.4 billion in total, demonstrating an increase of 62% compared to 201. Its stellar performance in 2014 was driven by the world’s largest IPO ever, of Chinese internet company, Alibaba Group, which raised US$25 billion in September 2014. Alibaba’s first choice listing venue was Hong Kong, but Alibaba’s governance structure would have contravened the Exchange’s OSOV principle. Although Alibaba Group has a single class of ordinary shares, each of which is entitled to one vote, a group of Alibaba’s founders and senior management members are given the exclusive right to nominate a simple majority of its board members. The Exchange published a Weighted Voting Rights Concept Paper in August 2014, seeking views on whether Hong Kong should change its listing rules to accommodate companies with dual share and other weighted voting structures. Those in favour are keen for Hong Kong to recover its competitive position as the international fund raising market of choice for Mainland Chinese companies, given the recent popularity of the NYSE and NASDAQ for listing Chinese tech stocks. WVR structures are particularly common among tech companies and so the Exchange’s OSOV principle effectively prevents the Hong Kong listing of many Chinese tech companies which, like Alibaba, Baidu, JD.com Inc. and Weibo Corp., list in the US where WVR structures are not an obstacle to listing. Arguments against listing companies with WVR structures focus on investor protection concerns, although these are allayed to a degree by Hong Kong’s already comprehensive regulation of connected and related party transactions and the provisions of the Takeovers Code requiring equal treatment of shareholders in takeover situations. The consultation closed at the end of November 2014 and conclusions are expected soon. The Hong Kong Stock Exchange is a leading international stock exchange which allows full access to foreign investors wishing to trade on its markets and offers a listing venue to foreign companies which are able to meet its requirements. Key advantages of Hong Kong as a listing venue are its established legal system based on English common law and its regulatory framework which is on a par with those in other international finance centres, which give investors confidence in the Hong Kong stock market. It offers many tax advantages, currency convertibility, free transferability of securities and no restrictions on capital flow. The abundance of international investment banks, law firms and accountancy firms also facilitate company listings. Although it is not possible for foreign companies to list in China at the moment, Hong Kong offers foreign companies the chance to raise their profile and visibility in China and the rest of the Asia-Pacific region. In recent years, the city has seen an increasing number of international companies listing in Hong Kong. There were 1,752 companies listed on the Exchange at the end of December 2014, of which 1,548 were listed on the Exchange’s Main Board. A key factor attracting foreign companies to the Hong Kong market is the depth of liquidity in both its primary and secondary markets. In 2014, there were 122 new listings on the Exchange (including transfers from the Main Board to GEM) which raised HK$227.7 billion (an increase of 35% compared to 2013). The unique position of Hong Kong has proved particularly attractive to companies in the luxury goods sector and high profile companies such as Coach, L’Occitane and Samsonite have listed in Hong Kong in recent years. For example, in 2011, Prada raised US$ 2.14 billion by listing 20% of its share capital on the Exchange. China’s position as a major consumer of energy, minerals and metals has also attracted a number of mining and natural resource companies to list in Hong Kong. These include Swiss commodities giant Glencore International AG, Russia-based United Company Rusal PLC, Kazakhstan copper miner Kazakhmys PLC and Brazilian metals and mining company Vale S.A. Vale S.A was also the first company to list on the Hong Kong Stock Exchange in the form of depositary receipts (HDRs). The Exchange’s Listing Rules allow overseas companies to list on the Exchange’s Main Board (but not on its Growth Enterprise Market) in the form of HDRs rather than ordinary shares. This is intended to allow the Hong Kong listing of companies from jurisdictions which restrict the movement of shares abroad or prohibit an overseas share register or splitting of the share register. The Listing Rules provide for the listing of companies incorporated in Hong Kong, the PRC, the Cayman Islands and Bermuda (“Recognised Jurisdictions”). The Hong Kong Stock Exchange has also accepted companies from 21 other jurisdictions (referred to as “Acceptable Jurisdictions”) for listing and the list is expected to expand in the future. Australia, Brazil, the British Virgin Islands, Canada (Alberta), Canada (British Columbia), Canada (Ontario), Cyprus, France, Germany, Guernsey, the Isle of Man, Italy, Japan, Jersey, the Republic of Korea, Labuan, Luxembourg, Singapore, the United Kingdom and the states of California and Delaware in the United States of America. The Hong Kong Stock Exchange has two markets: the Main Board and the Growth Enterprise Market or GEM. Revenue of HK$500 million for the most recent audited financial year, positive cashflow from operating activities of HK$100 million in aggregate for the three preceding financial years and market capitalisation of HK$2 billion at the time of listing. GEM caters for smaller growth companies and thus has lower entry requirements. Applicants must have positive cashflow generated from operating activities in the ordinary and usual course of business of at least HK$20 million in aggregate for the two financial years immediately preceding listing and market capitalisation of at least HK$100 million at listing. The Exchange’s policy requirements for accepting overseas listing applicants are set out in the Joint Policy Statement Regarding the Listing of Overseas Companies (JpS) published by the Exchange and the Securities and Futures Commission (SFC) which was updated in September 2013 to clarify and streamline the listing process. there must be regulatory co-operation arrangements in place between the statutory securities regulator(s) in the applicant’s jurisdiction of incorporation and its place of central management and control (if different) and the SFC. The JpS also provides for “automatic” waivers for applicants seeking a secondary listing on the Exchange from a large number of Listing Rules and corporate governance requirements.